By the age of thirty, Andrew Bonar Law had developed a successful business and turned his interest to politics, winning election to Parliament for Glasgow Blackfriars and Hutchesontown as a Conservative in 1900. 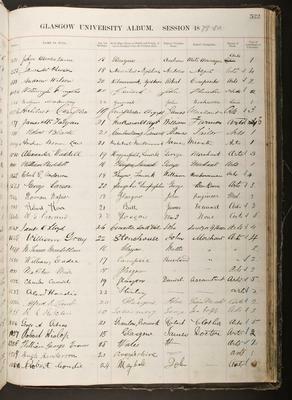 After appointment as Parliamentary Secretary to the Board of Trade in 1902, he lost his seat in the 1906 General Election but returned as MP for Dulwich at a by-election later in the year and joined the Shadow Cabinet. "There are many measures of legislative and administrative importance which in themselves would be desirable... but I do not feel that they can, at the moment, claim precedence over the nation's first need which is, in every walk of life, to get on with its own work with the minimum of interference at home and of disturbance abroad." In 1911, he became MP for Bootle and was made a Privy Counsellor while the resignation of Arthur Balfour as leader of the Unionist party led to a stalemate between rival contenders. 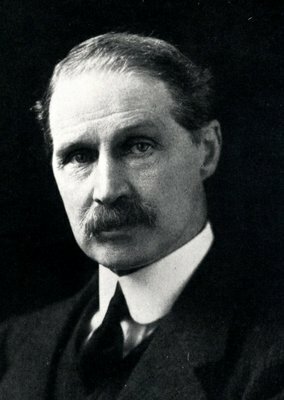 Bonar Law was elected leader as a compromise candidate. In the First World War he was a member of Lloyd George’s coalition War Cabinet, serving as Chancellor of the Exchequer and Leader of the House of Commons. The coalition government was re-elected in 1918, Bonar Law returning to a Glasgow seat (Glasgow Central). He continued as Leader of the Commons but resigned from this post and as Conservative leader due to ill health in 1921. 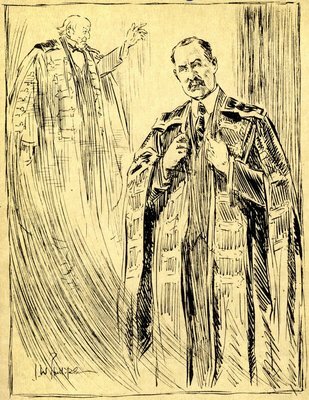 Mounting problems at home and abroad led to the end of the coalition and the resignation of Lloyd George, allowing Bonar Law to return as PM and Conservative leader in 1922, leading his party to win the ensuing election. Ill-health forced his resignation in May 1923 and he died later that year ��" the only British Prime Minister not born in the UK, and the shortest serving one (209 days) of the twentieth century. Taylor, Andrew. 2006. Bonar Law. London: Haus Publishing. World Changing Project, "Prime minister 1922-1923," in University of Glasgow World Changing (University of Glasgow, 2010); http://www.worldchanging.glasgow.ac.uk/article/?id=32 (accessed April 26, 2019). World Changing Project. "Prime minister 1922-1923." In University of Glasgow World Changing. University of Glasgow, 2010. http://www.worldchanging.glasgow.ac.uk/article/?id=32 (accessed April 26, 2019). World Changing Project. "Prime minister 1922-1923." University of Glasgow World Changing. University of Glasgow, 2010. 26 April 2019 <http://www.worldchanging.glasgow.ac.uk/article/?id=32>.